Mediapasta is the leading digital marketing company based in Mumbai and Gurugram for 7 years. We have been delivering consistently in every aspect of Digital marketing viz. Search Engine Optimization, Paid Search, Display Ads, Social Media Marketing and Content Marketing. 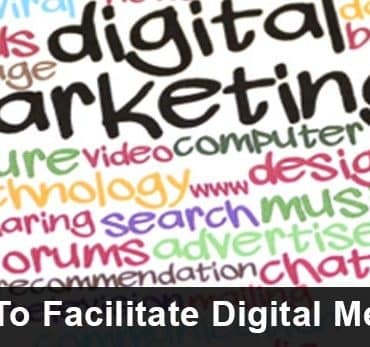 Right from the inception, we have set our foot into the field of digital marketing that is our core expertise. With exceptional qualities of innovation and creative thinking, we have made strides towards creating a benchmark. We have serviced more than 300 clients so far who have been benefited by our extraordinary abilities in digital marketing. The 1000+ digital marketing strategies prepared by us so far serve up to the best extent in satisfying the needs of the clients. Our hunger for perfection is eternal. It keeps us on the toes to deliver better than before. Our pool of services includes every aspect of digital marketing such as conversion optimization, influential marketing, on-site and off-site marketing, web data analysis, E-commerce marketing, and app development. Our esteemed clients are widespread giving us wide industrial coverage including education, fitness and treatment centers, IVF centers, rehabilitation centers, education, and travel. We serve the whole spectrum of business ranging from a startup business to Small and Medium Enterprise and large corporate houses. The statistics have been quite impressive so far. We have managed 300 or more websites and 4000 and more keywords. Our social media cell posted 5K posts in the social media and more than 3K articles for our clients. Timely delivery, client relationship and high level of professionalism are the unique qualities of Mediapasta. The forefront idea is ‘Quality First’, and therefore, we perform multiple quality checks before rolling out products and services. Mediapasta is the bespoke digital marketing agency that offers the complete range of services. We know that ‘one size doesn’t fit all’. Hence, we develop a client-specific digital marketing strategy to optimize ROI. The experience of working with diverse portfolio makes us the preferred digital marketing agency. We are fast, accurate, reliable and seasoned digital partner who can deliver scalable and perfect solution within the shortest turnaround time.